Data fragmentation and storage silos aren’t just an enterprise problem anymore. These are also a problem for service providers who similarly struggle with siloed data centers while aiming to help their enterprise customers simplify management and protection of secondary data and apps and derive the most value from secondary data. 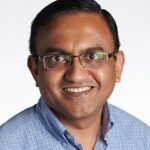 Service providers are helping to solve the data fragmentation and storage silos challenge because, in today’s world of massive data growth and data center complexity, providers have come to be seen as partners for value-added, data-centric services, and key allies to customers who are increasingly employing a multi-cloud / hybrid IT strategy. But when provider and customer-alike have multiple data islands all managed in silos – onsite and across clouds – it becomes impossible to protect. And not having an easy way to manage data across clouds poses huge obstacles for service providers and their customers looking to leverage secondary data and apps to drive differentiation. This is why many enterprises are looking for a qualified service provider who can provide them with a unified experience for managing multiple clouds—enterprises want providers to help them simplify complexity of secondary data and apps infrastructure, reduce IT costs, and gain a competitive edge. With those challenges in mind, today we introduced a purpose-built solution for service providers, expanded the Cohesity Partner Program for service providers, and introduced a new Cohesity Powered trust mark. These offerings empower service providers to unleash the power of secondary data and applications and rapidly build, manage, and grow highly differentiated, Cohesity Powered services for customers worldwide. Joining the Cohesity Partner Program means service providers have access to new purpose-built capabilities in the Cohesity DataPlatform, including multi-tenancy, tenant self-service, web-scale advanced global deduplication (including cross-tenant dedupe), chargeback reporting, and more. Each of these capabilities will help providers deliver value-added, secondary data services across private, public, and hybrid clouds from one web-scale, hyperconverged platform. Cohesity DataPlatform is already hard at work helping enterprises eliminate mass data fragmentation by consolidating secondary workflows—from backup and recovery, to files and objects, to test and dev, to archive and analytics. Now with the purpose-built solution and expanded partner program for service providers, Cohesity is dramatically increasing opportunities for providers themselves: As much as eighty percent of enterprise data exists in secondary storage, which represents an underexploited 60-billion-dollar addressable market. Capture new multi-cloud and hybrid business models. Host single-tenant or multi-tenant secondary data services on customer premises, in a colocation facility, in their own data centers, or on leading hyperscale public clouds such as Amazon Web Services, Microsoft Azure, and Google Cloud Platform — in any or all combinations. Deploy Cohesity DataPlatform on a choice of Cohesity, Cisco, HPE, or Dell hyperconverged secondary storage appliances. Realize ease-of-management because Cohesity integrates with VMware vCloud Director, VMware vRealize Suite, ServiceNow and provides an API-first architecture allowing providers to integrate their own management system as well. Providers can also combine the Cohesity DataPlatform with Cohesity Helios, a SaaS-based management solution, for simplified management for all customers across a common platform. Cohesity also announced today the Cohesity Powered trust mark, a designation available only to qualified partners who build their businesses on Cohesity’s trusted platform and adhere to strict quality standards. The trust mark enables service provider partners to further differentiate their value while driving customer preference for their innovative services. The service provider story doesn’t end here. Enterprises will realize significant benefits when they choose Cohesity Powered service providers. We touched on those benefits above, but we’ll do a deeper dive on customers in our next blog.